The P232U RDS Encoder is well suited for the vast majority of radio stations which use serial data channel (PC serial port, satellite link, serial over Ethernet) for the RDS content distribution. An independent USB communication port provides a simple way for local connection and configuration. 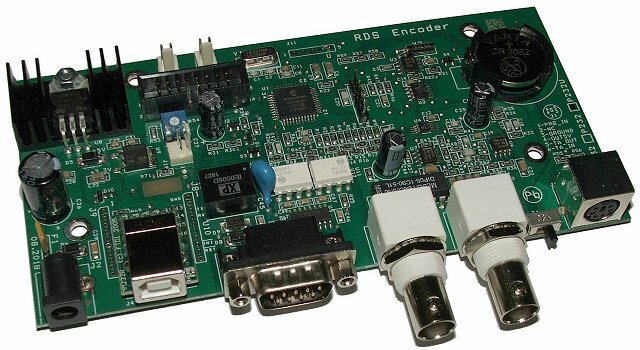 The RDS encoder supports both dynamic and static operation. The device is equipped with standard analogue interface for seamless integration into the broadcast chain and interchangeability with other brand products. This RDS encoder is characterized by proven concept, easy intallation, great price and unsurpassed text processing capabilities. It maintains support for all RDS services and data formats that are commonly used. An assessment is required only for stations that use some of the less common UECP features. The device is compatible with P132, P232, P332 and backward compatible with PIRA32.